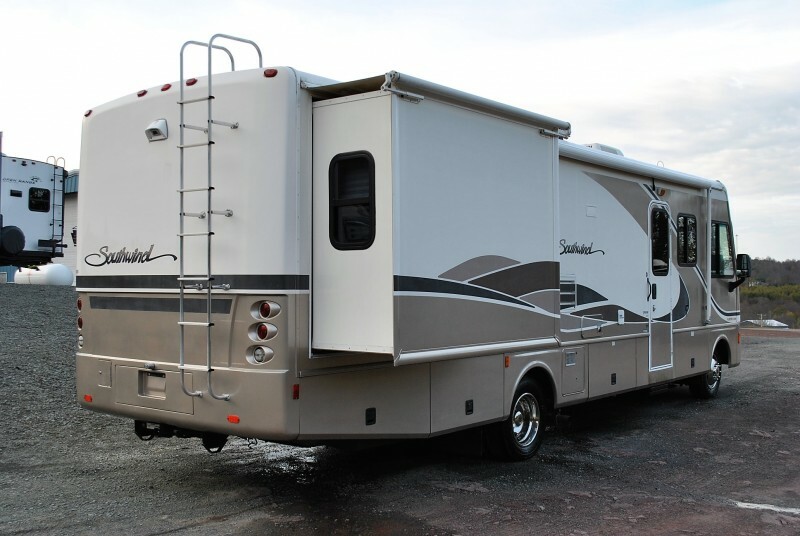 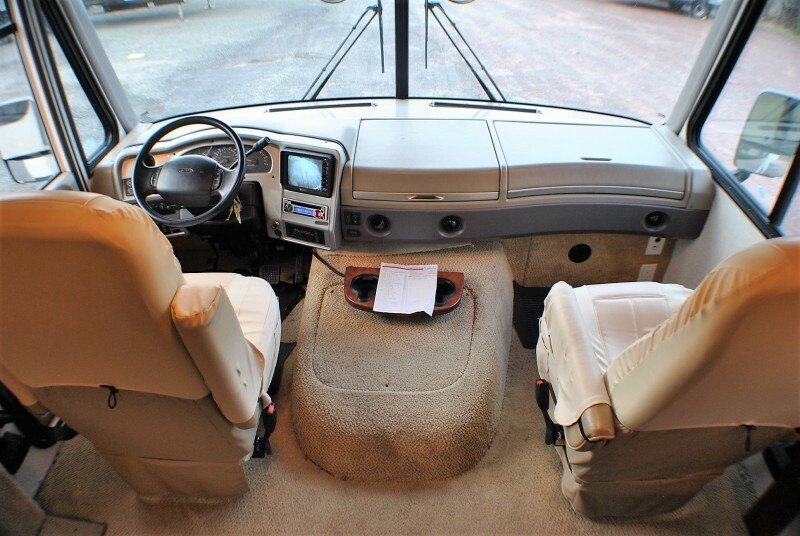 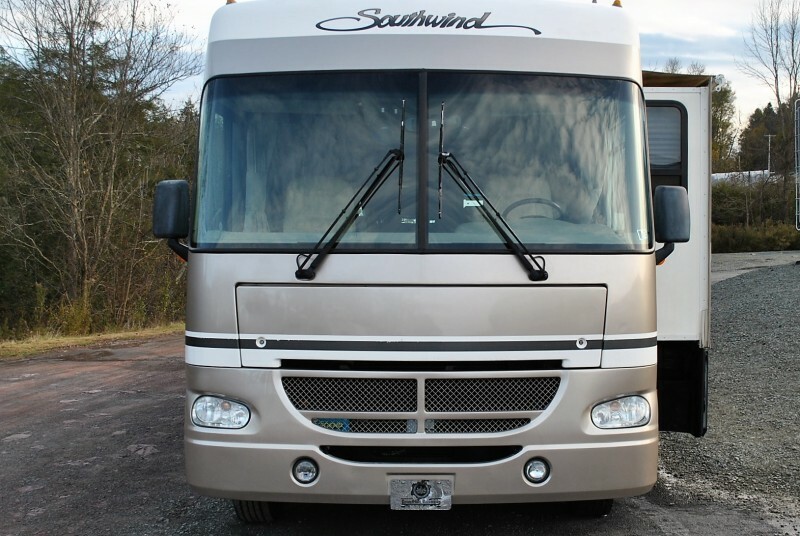 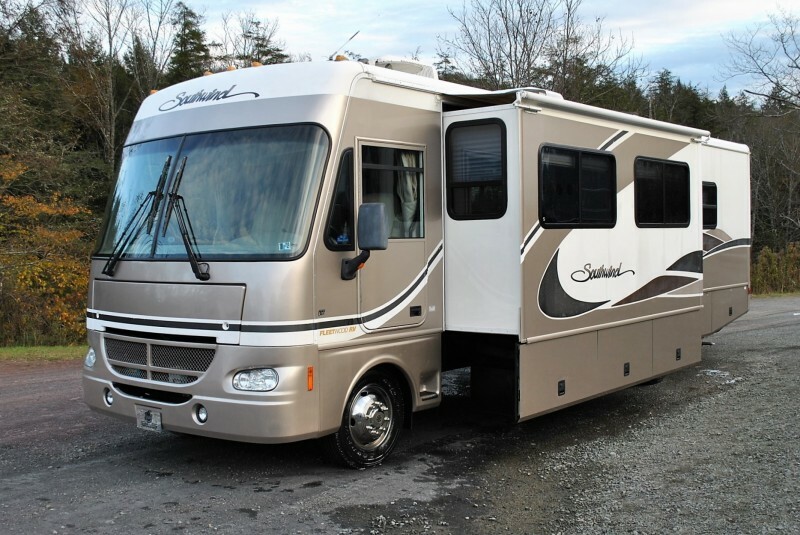 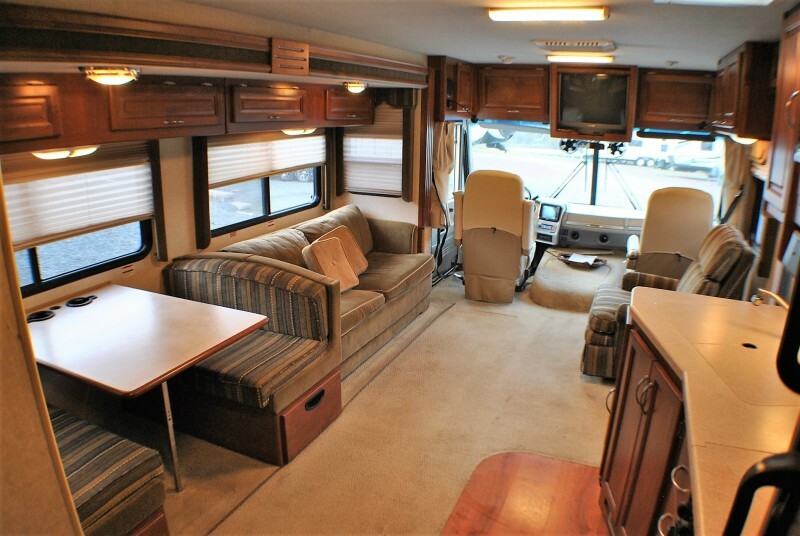 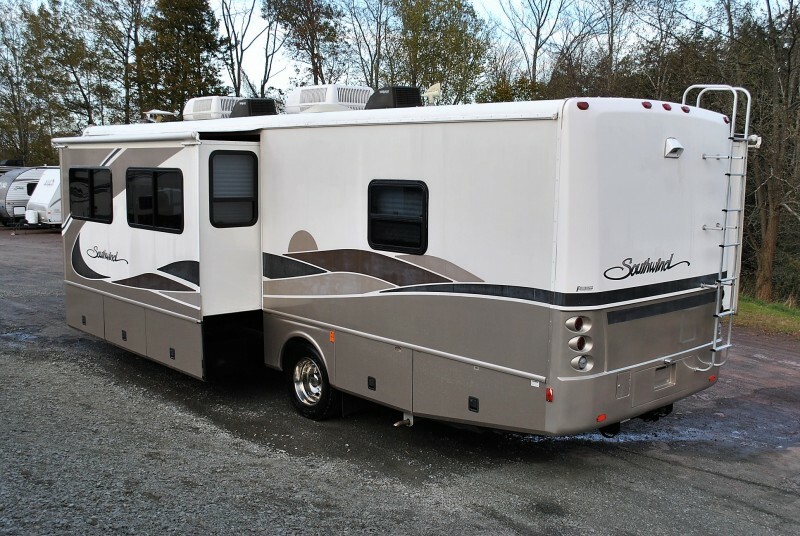 Check out this 2004 Southwind 32VS, stock number 7346! 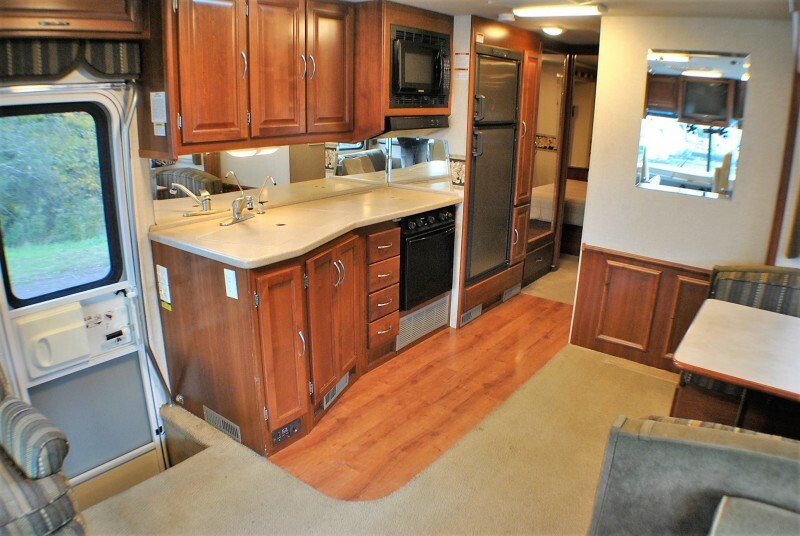 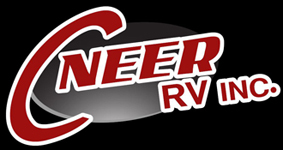 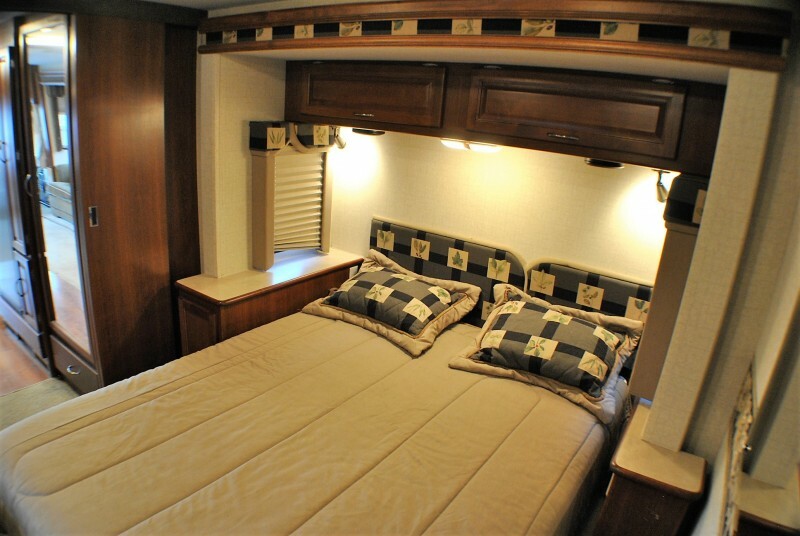 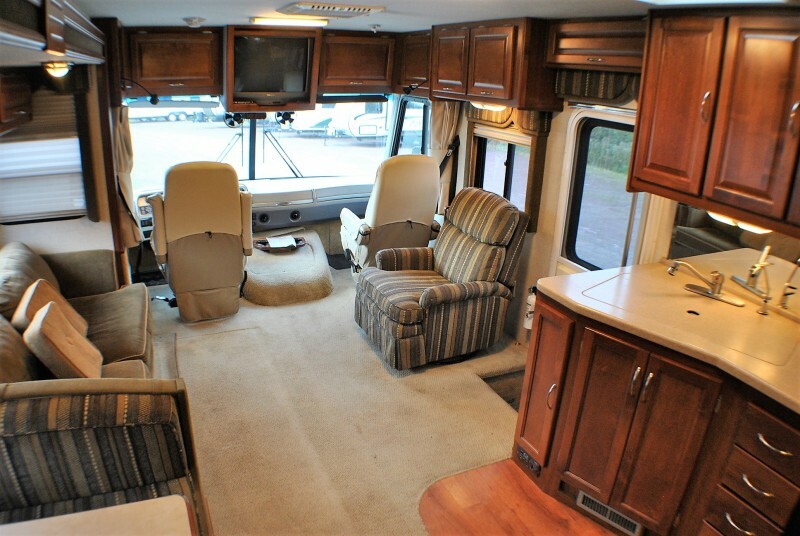 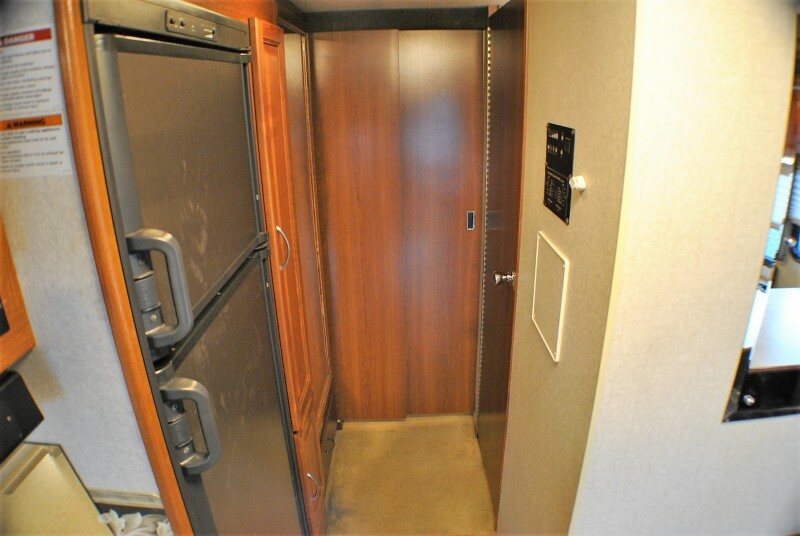 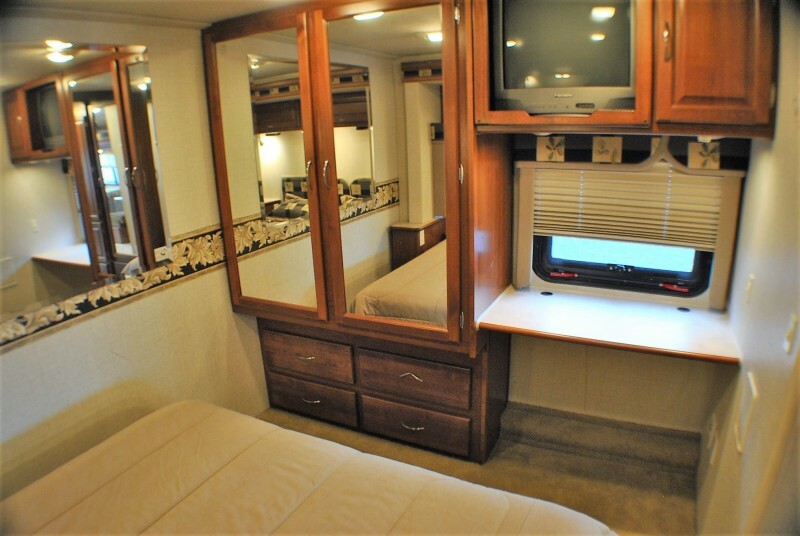 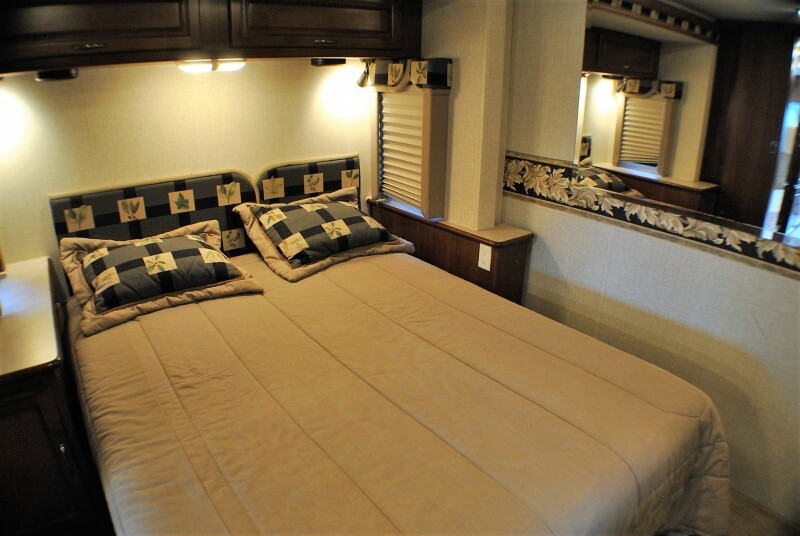 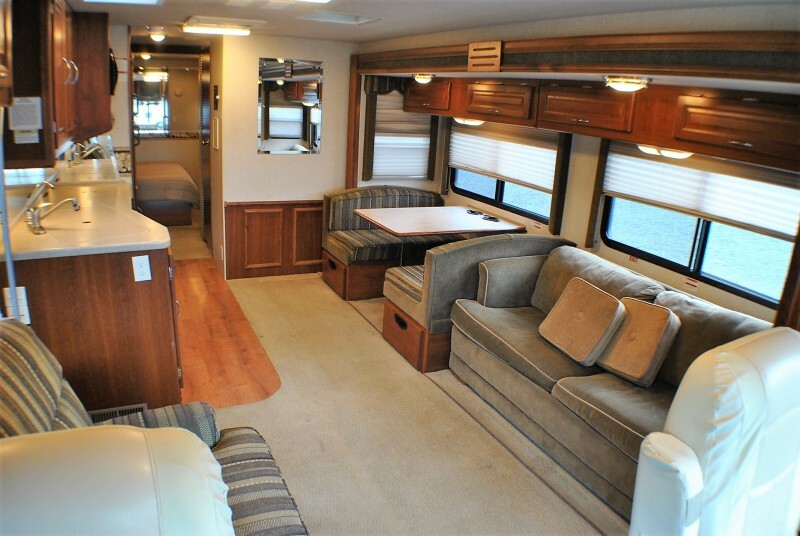 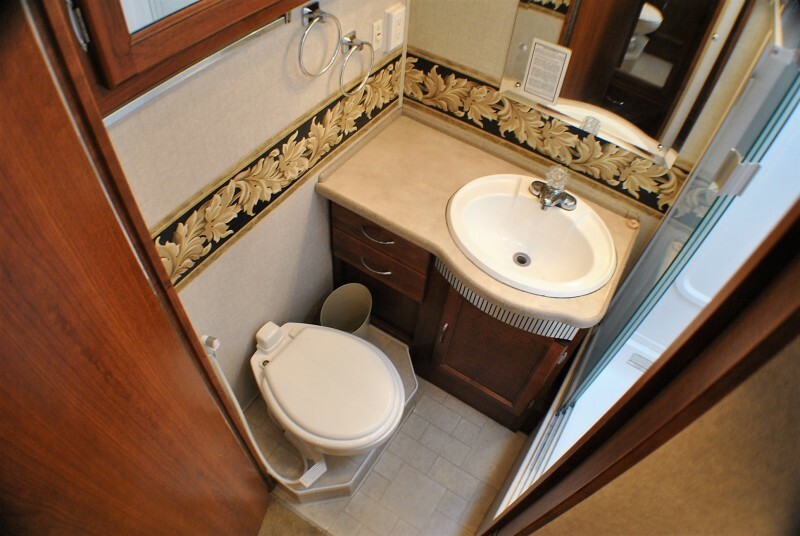 33′ Ford chassis, Two slide outs, rear master suite, Hide-a-bed sofa sleeper, fold down dinette sleeper, dual AC units, 5500W Generator, private midship bath, spacious pantry, furnace, large water heater, refrigerator, convection microwave, awning, spare tire, AM/FM stereo, self contained with holding tanks, and more. 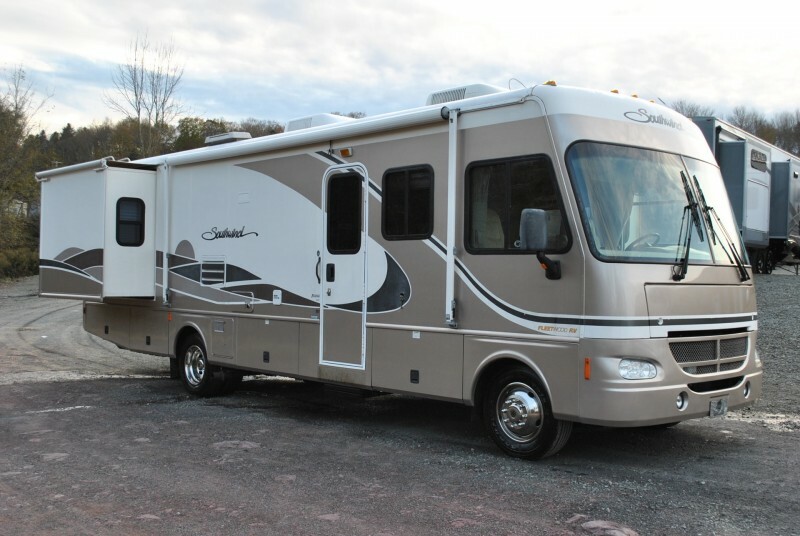 65256 miles. 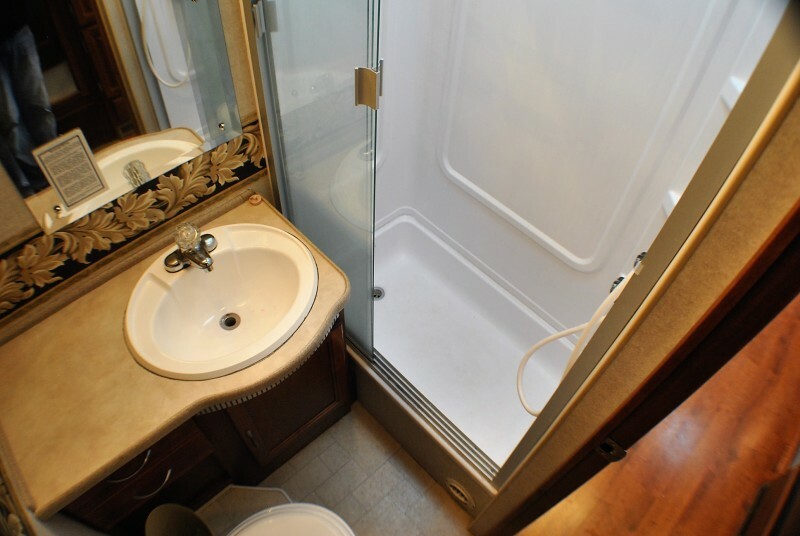 Former owner stated all items in proper working order, discounted to as traded price.